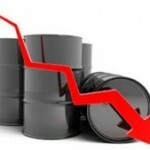 Cheap Oil – Why Is It Bad News? All too often, economic analysis seems to many like a good news/bad news joke. No economic news is ever completely happy, is it? Take for instance oil prices. The price of oil has fallen below $30, and with Iran about to add millions of barrels to the excess supply every day, it looks like the price of oil will remain low for some time. So this is good news, right? Cheaper gasoline, more discretionary income to spend, cheaper energy prices, and indirectly, cheaper goods and services… all good news. Because, when the past oil shocks (1973/4, 1978/9) zapped oil prices way up, the result was recession. So the opposite should cause…boom? Right? If so, then why have global financial markets reacted very negatively to the oil price fall. Why is the rule of thumb – a 10 % fall in oil prices boosts GDP growth by 0.1 to 0.5 points – not longer true? Why have global stocks fallen sharply? Note that the cause of the current oil glut is clear – Saudi Arabia. Its Minister of Oil (acting under the aegis of King Salman, young and highly pro-active) chose to take on Saudi’s enemies, Iran and to some degree Russia, by engaging in an oil price war and bashing prices down. Saudi Arabia can do this, because it is by far the world’s low cost oil producer. It can still make money when oil is $30, unlike Russia, Iran and most other nations. And $30 oil can kill a lot of American oil production, through fracking, and reduce competition in the long run. Saudi Arabia though is suffering too, and the Oil Minister may yet lose his job. Collapsing oil prices seem to be taken by the world as bad news, not good, because: * they will increase instability in an already unstable world, in countries like Venezuela and the Gulf States; * oil producers are slashing their spending and investment, especially Russia, as oil revenues collapse; * many investment projects involving energy exploration are now on hold; * emerging market corporate debt of an added $650 billion was in oil and commodity industries; that debt is now much more risky; * Higher risk aversion to energy firms has spread to other parts of the market and other industries as well. * real interest rates are at near zero and there is no room to slash them lower. The most distressing aspect of the fall in global equities, due to cheap oil, is that it signals who really matters in the world. Big Oil, big capital, tycoons, the 0.01 per cent…THEY matter and they are the ones who are hurting. The rest of us 99.99? Well, we benefit from lower oil prices… but since we are not players in global money, we don’t really count.